The tragic sinking of Carnival's 'Costa Concordia last Friday off the Italian Isola del Giglio is symptomatic of a greedy cruise ship industry fanatical about cramming as many paying passengers as possible on bigger and more ships, while driving a cost-cutting culture to constantly boost profit performance for shareholders on global stock markets. These days modern cruise ships are expected to be unsinkable. Almost exactly one hundred years ago, people expected the same of the Titanic. People thought the Titanic was unsinkable because it was so large and mighty. Today, people marvel that a ship like the Concordia could have run aground while sailing a routine course.. The parallels between the underlying causes of the Costa Concordia sinking and the Titanic are disturbingly similar. On 15th April back in 1912, the passenger liner RMS Titanic struck an iceberg off Newfoundland and sank in three hours. The Costa Concordia struck a rock that got stuck inside the left side, making it lean over and take on a lot of water in the space of two, three minutes. 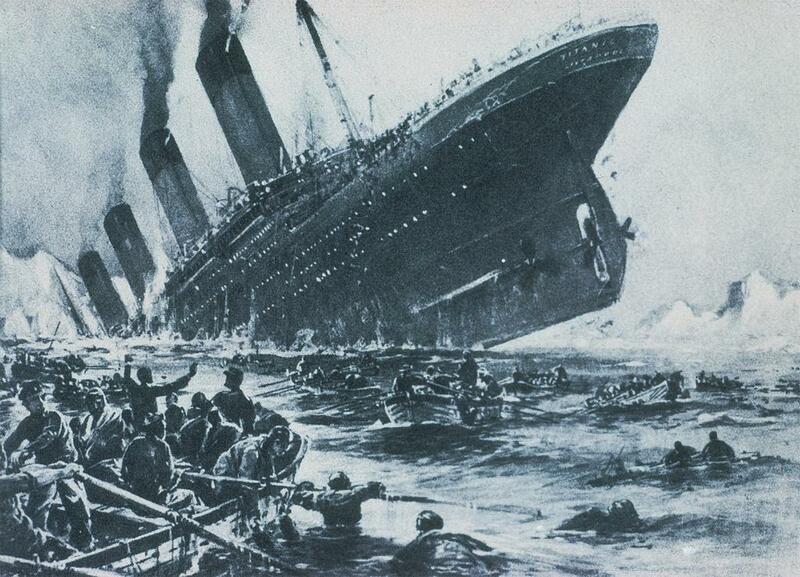 The Titanic had 2,223 passengers on board, but only carried lifeboats for 1,178. The media have reported that the Costa Concordia had over 4200 passengers on board at the time of running aground on the rock, although the bookings website states a 3000 passenger capacity. The Titanic was the biggest most luxurious ship built to date in England at that time, being nearly 900 feet long, standing 25 stories high, and weighed an incredible 46,000 tons. With turn-of-the-century design and technology, including sixteen major watertight compartments in her lower section that could easily be sealed off in the event of a punctured hull, the Titanic was deemed an unsinkable ship. According to her builders, even in the worst possible accident at sea, two ships colliding, the Titanic would stay afloat for two to three days, which would provide enough time for nearby ships to help. The Titanic's engineers, believing a ship so large and powerful was unlikely to sink anyway, neglected to take into account the fact that the bulkheads dividing the 16 compartments came up only 10 feet above the waterline, meaning water could still flood the closest compartments even if intact. Owned by giant US cruise line Carnival Corporation, the Costa Concordia is the world’s 26th largest passenger ship and the biggest ship built so far in Italy. The 950-ft Costa Concordia was built in 2005 and (was) the largest and most luxurious in the Costa cruise fleet, boasting bars, restaurants, a gym, large spa and several lavish suites and eleven decks! The Costa Concordia boasted as being the largest, longest and best ship in the Costa fleet for fitness and relaxation. It had a Fitness Area on two decks, covering a total of almost 20,450 square feet, four swimming pools, two with retractable glass roofs. There were 13 bars, 4 restaurants, a club, a theatre and 500 cabins with balconies. It had a 4 star rating. Perhaps more money ought to have been spent on training its crew. Had the Captain of the Costa Concordia stayed in deep water, the compartmentalization of the ship's hull would likely have kept the ship afloat and life boats could have been used. Instead he tried to bring it closer to shore which frankly was really stupid. He ran it aground-still to far to swim- and the boat tipped over. I would know better than to do that. Or maybe it was the First Mate who screwed up and the Captain was dining with passengers as they are wont to do. It is not yet public how many lifeboats were on board, but reports are than many were inaccessible due to the degree of listing of the ship. Many passengers aboard the Concordia have complained the crew didn't give them good directions on evacuating and waited so long to lower the lifeboats that many couldn't be released because the ship was listing so heavily. One passenger accounted "We couldn't get the lifeboats off and the life rafts that the staff use were stuck to the side of the ship. It was frightening." He used his height to bridge a gap between decks three and four as a human ladder and help passengers reach lifeboats. There were negligent delays in effecting the evacuation. The public announcements misleadingly advised passengers of an electrical problem for a critical 45 minutes. Robert Elcombe, 50, from Colchester but who now lives in Australia, said he and his wife Tracy got into a life boat – but were ordered out again when staff said it was ‘only a generator problem’ that could be fixed. Originally, a lifeboat drill was scheduled to take place on board the Titanic on April 14, 1912 - the day the Titanic hit the iceberg. However, for an unknown reason, Captain Smith canceled the drill. Many believe that had the drill taken place, more lives could have been saved. Costa Concordia passengers said the line did not have a muster/lifeboat drill for passengers prior to departure or on Friday night. Lifeboats also are required to be capable of being loaded, launched and maneuvered away from the ship within 30 minutes of the Master's signal to abandon ship. But unlike many cruise lines that routinely operate a full-blown muster/lifeboat drill an hour or so prior to departure, Costa apparently had scheduled the lifeboat drill for late Saturday afternoon. The International Convention for the Safety of Life at Sea (SOLAS), an international treaty which governs safety on ships, only requires ships like Costa Concordia to have a safety/lifeboat drill within 24 hours of sailing. So while Costa’s procedure to hold a lifeboat drill on Saturday appears to be acceptable by law, from a feasibility standpoint some guests – particularly new cruisers -- may not have known exactly what to do and where to go at the time of the accident. The average tonnage of cruise ships has doubled in the last decade makes a full-scale evacuation at sea more problematic. The British inquiry into the Titanic's sinking confirmed that the sinking was exacerbated by the ship's "excessive speed" in its collision with the iceberg. This was Captain E. J. Smith's retirement trip. All he had to do was get to New York in record time. Captain E. J. Smith said years before the Titanic's voyage, "I cannot imagine any condition which would cause a ship to founder. Modern shipbuilding has gone beyond that." Captain Smith ignored seven iceberg warnings from his crew and other ships. If he had called for the ship to slow down then maybe the Titanic disaster would not have happened. The Master of the Costa Concordia, Captain Francesco Schettino, was sailing off course. "The route of the vessel appears to have been too close to the shore, and the captain's judgment in handling the ­emergency appears to have not followed standard Costa procedures," a statement said. Initial assessment points toward Captain Schettino deliberately maneuvered the ship too close to the island to provide a "beautiful spectacle," for the tourists of Giglio. He has admitted that he tried to maneuver the ship close to the island as part of "tourist navigation," suggesting that he deviated from the permitted navigation route to entertain the islanders. The ship was a mere 150 metres from the shore when it ran aground. Both captains were reckless and grossly irresponsible. Both companies were/are contributory in the respective disasters due to the inadequacies and failings of their systems/procedures and perhaps even corporate culture and so culpable. The cruise industry has boomed since the 1980s, with more than 19 million passengers taking one last year and nine or more newly-built cruise ships of 100,000 tonnes or greater being built every year for the past decade. 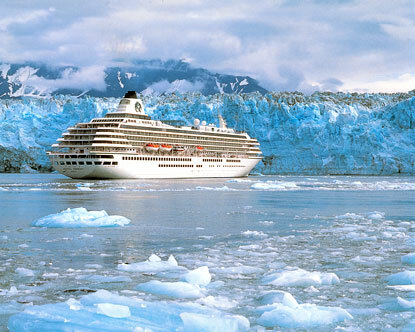 The cruise industry has become the fastest growing travel sector in the world. In 2010 the total cruise industry economic impact in the U.S. was $37.85 billion of gross output, a 7.8 % increase over the previous year. But with increased demand has come increased competition. Carnival Corporation, owner of the Costa Concordia, has grown by revenues and acquisitions to become the world's largest cruise ship operator, headquartered in coastal Southampton, England. Besides the Carnival cruise line, the company owns Princess Cruises, AIDA Cruises, Seaborn, Costa Cruises, Cunard, Holland America Line, ibero cruseros and P&O Cruises. The cruise offerings from Carnival provide cruise vacations around the globe from budget cruises to the highest levels of high-cost luxury. At the end of 2010, Carnival owned 98 cruise ships with capacity for over 190,000 guests. Carnival is a globally listed company traded on both the London Stock Exchange and the New York Stock Exchange. Increasing bottom-line profits is the main challenge for Carnival in an environment of rising fuel prices, low value of the US dollar, high shipbuilding costs, and increasing expectations of passengers. So far Carnival has managed to return a reliable profit hovering around 5% p.a after a gross profit margin of 30%. Perhaps more of that profit needs to be put back into quality control of operations and risk management. 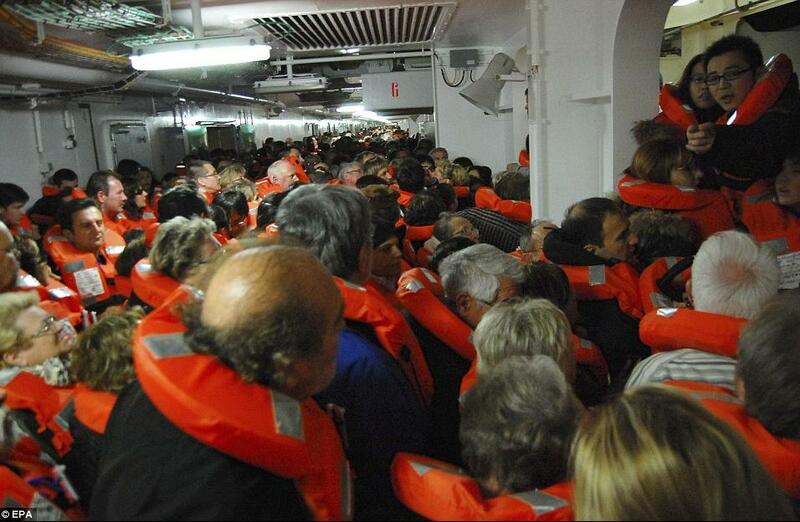 The cruise ship industry has focused on cramming as many paying passengers as possible on bigger and more ships. Going aground in relatively warm protected waters off Tuscany is a dire warning. A similar incident with Carnival's Antarctic or Alaskan cruises in freezing remote seas would truly be another Titanic disaster. The marine disasters which carry the most relevant lessons for immigration reductionists are the ferry disasters which have taken place over the last century. At first blush, media accounts have always attributed the disasters as having been the result of their being far "too many" passengers for what the ships were designed to carry. But during the inquest, it has been typically revealed that this most obvious reason was not the critical one. The decisive factor was that the weight of cargo---human or otherwise----shifted from the centre of gravity, inducing a rocking motion known as "slosh dynamics". The lack of secure bulkheads (borders) to prevent this shift allowed overloaded vessels to capsize. Ferries, by definition, have a deck that is unimpeded by barriers. Thus, even one inch of seawater on the car deck of the Heritage of Free Enterprise (or the doomed ferry off Estonia in the Baltic) was enough to destabilize and sink the vessel. In the first famous ferry disaster off Chicago in the late 19th century, all it took was the ambition of passengers on the top deck to view a regatta from one side of the ship, and it capsized. In the case of the Titanic, the bulkheads were to be compared with an ice cube tray. They did not extend high enough to prevent the water iof the first three compartments from spilling over to the next , so the sheer weight at the front of the vessel made the ship's fate a done deal. Pumps could not keep up. When naval ships go into action, or are hit by a torpedo, the captain's first order is to "seal" the hatches, in order to prevent the migration of water from one compartment to the next. But what about the people who are trapped in a flooding compartment? Don't we have a moral obligation to them? My uncle, who served on a destroyer in the Royal Canadian Navy during the war told me the protocol. "You secure the hatches, listen to their screams, and for the sake of the ship, you do nothing--and you thank God you weren't in their section of the ship." That, my friends, is Lifeboat Ethics in a nutshell. Ships of state can be run by incompetent or reckless captains, like our Captain Stephen Harper, hell bent to pursue growth full steam ahead. But we can remain afloat for a while longer if we secure our hatches and reinforce our bulkheads. Migration is NOT, as Green Party leader Elizabeth May contends, a "trivial" issue. Even the 3% of the global population that is on the move can be and has been very destabilizing to the nations that receive them---like that inch of water on the car deck. When the perfect storm of population growth, resource depletion and climate change hits us, that 3% will balloon to 6% or 16%. The global ship is vastly overloaded, but we must try to ensure that the weight does not shift to that part of the ship which multiply its impact. If you are ethically troubled by the fact that you have a place in the national lifeboat while billions of shipwrecked swimmers do not, Garrett Hardin had the tonic for your guilty conscience. By all means, trade places with one of the swimmers. Zero net migration is acceptable protocol. Or would capsizing Australia (or Canada or America) with compassion and open hatches serve the cause of social justice for all? Mark Brimble, the surviving husband of Dianne Brimble who died aboard a cruise ship in 2002 is now an advocate for people on cruise ships and some sort of watch dog or spokesperson on safety on these ships. He made the point on the main TV news last night that the Costa Concordia was carrying too many passengers which magnified the difficulty of rescuing passengers from this disaster. I couldn't help thinking that "Overloading Australia" (to borrow *Mark O'Connor's term), carries similar risks but far more people are involved and as far as I know, continent Australia has no life boats. Australia is an infertile land with unreliable rainfall where we hope to survive with an ever greater population in an energy constrained future. Meantime as far as the government is concerned it's *"stacks on the mill, more on still". Those in power now should be held responsible for the inevitable disaster, but they may be suffering like the rest of us if they stick around. There are parallels of course with population growth and big profits. The Titanic was not nearly full when the disaster happened. She was only carrying about half of her full passenger capacity of 2,435 people due to a combination of the low season and ongoing transport disruption caused by a coal miners' strike in the UK. The death toll has been put at between 1,490 and 1,635 people. Less than a third of those aboard Titanic survived the disaster. Some survivors died shortly afterwards. Exact numbers are unclear due to changes in the passenger list, and some people used aliases along with their real names - for some reason. The death toll was designed to be even higher! The over-confidence in technology, in man-made vessels, and the drive for progress and profits, is of course what is happening today with big corporations determining government policies. The lure of wealth and economic growth through more money being transacted, and more people as consumers, is over-riding common sense and natural global declines. Our "life boats" of clean air, fresh water, food producing land, balanced and functioning ecosystems, clean and vitalizing oceans, vegetation, natural diversity are being consumed and engulfed by overpopulation. The decline and extintion of species should be a warning to the world that our planet is dying. An economy based on perpetual economic growth, via population growth, is fatalistic and clearly can't continue. It's about trading long term survival for short term economic benefits, at our peril. The lessons of the Titanic and the Costa Concordia have still to be learned. Cities are being "planned" to maximize profits and populations rather than being naturally balanced and evolved in a human-friendly manner. Today the news reports another Costa cruise ship disaster, Costa Allegra, currently adrift in the Indian Ocean off the Seychelles, in known Somali pirate waters. But who are the real pirates? We've got your fully paid booking, sorry no refund, enjoy your cruise! Cruise of a lifetime? Choose carefully, not cheaply! 'A blaze in the engine room of the Costa Allegra saw the liner stranded in the dangerous and choppy Indian Ocean seas and it was forced to make a mayday call seeking assistance from nearby vessels. The cruse ship is adrift in pirate-infested seas off the Seychelles with no power and with more than 1000 people on board. The Costa Allegra is from the same fleet as the much larger Costa Concordia, which crashed into an Italian island in January, in a tragedy that claimed 32 lives. "At dawn, Costa will evaluate the assistance operations the ocean-going fishing ship can provide," a company spokesman said. A second large fishing trawler was due to arrive at the scene, with two tugs expected a few hours later on Tuesday afternoon. So, premium paying cruise ship passengers are being rescued by a fishing trawler? Great! Great holiday! Some quality tour! Carnival Criuse Lines is a joke. Who would go cruising in international waters with such a budget liner? The entire passenger contingent should sue Carnival - the profiteering bastards! How much do the Carnival executives earn and investment shareholders get paid at passenger expense? Try taking out insurance once the insurer realises you're cruising Carnival! Bon Voyage, have you updated your will? Carnival Cruise Lines, the same company that ran the Titanic, Costa Concordia and Costa Allegra, have just announced its big is beautiful theory. In a Sydney newspaper today, a Carnival Cruises Lines spokeswoman said: "we have a theory: we go big or we go home." It is bringing its 2680-capacity Carnival Spirit to be based in Sydney so it can churn 86 voyages between now and the end of 2014, loading 230,000 passengers. The more one reads about this operator, the more one reads an inherited theory of White Star capitalism on the high seas.